CricktoGame is the game of skill in solving puzzles that will take you to a new level of fun. It's easy to play and fun for all ages. The game has you moving pieces around a board with coloured backgrounds - you need to match up all of the pieces with a background panel of the same colour. The pieces can only be moved along the specifically drawn out paths, however, so planning each move in advance could well be key. 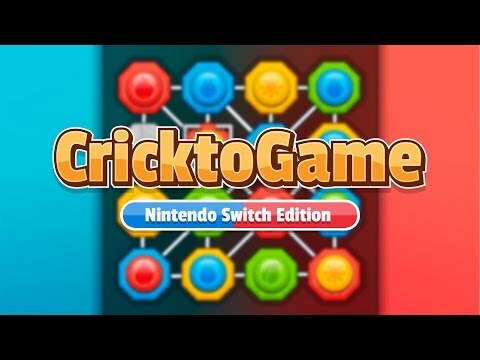 CricktoGame: Nintendo Switch Edition was released on Switch 170d ago in the US and the UK. Notify me when CricktoGame: Nintendo Switch Edition is available.